The Skins A400 Compression 3/4 Tights give you the benefit of the latest technology Skins have to offer. These 3/4 length tights have been scientifically proven to make the body perform and recover better from exercise. 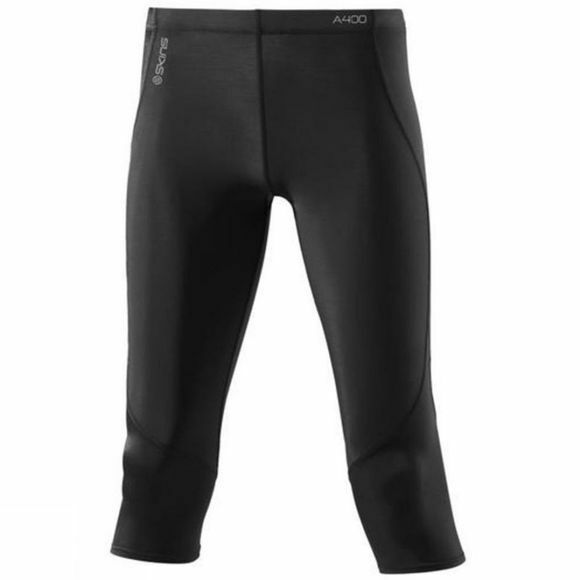 The A400 range of compression uses unique dynamic gradient compression to ensure that the correct level of pressure is provided in the right places to enhance blood circulation. NB: The sizes available are the Skins 'H' shape / normal body shape. Tailored for the ultimate fit, SKINS is the only compression brand that takes into account your height, weight and body shape. Unique fabrics and panels support key muscle groups, allow unrestricted movement and reduce risk of injury. Moisture management and UPF 50+ protection.